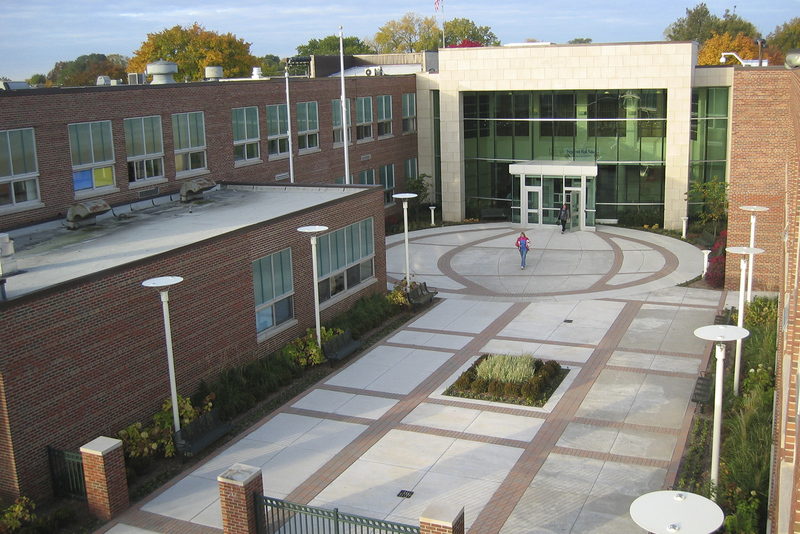 The school was challenged with the fact that the City of Warren was widening the main thoroughfare on which this building fronts. The road widening made the existing main entrance and parking lot unusable and unsafe. The building was forced to move the entrance to the rear of the building. 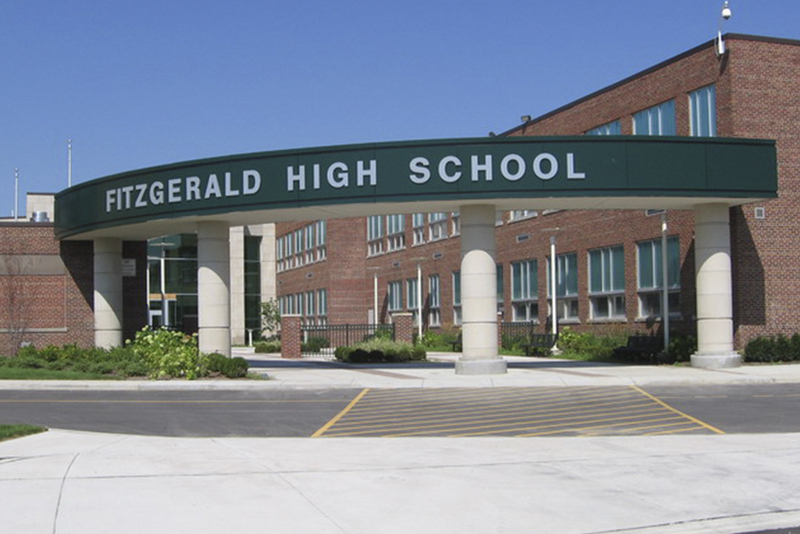 After thoughtful planning, discussions and evaluations, the Fitzgerald High School Campus Revitalization project was born. 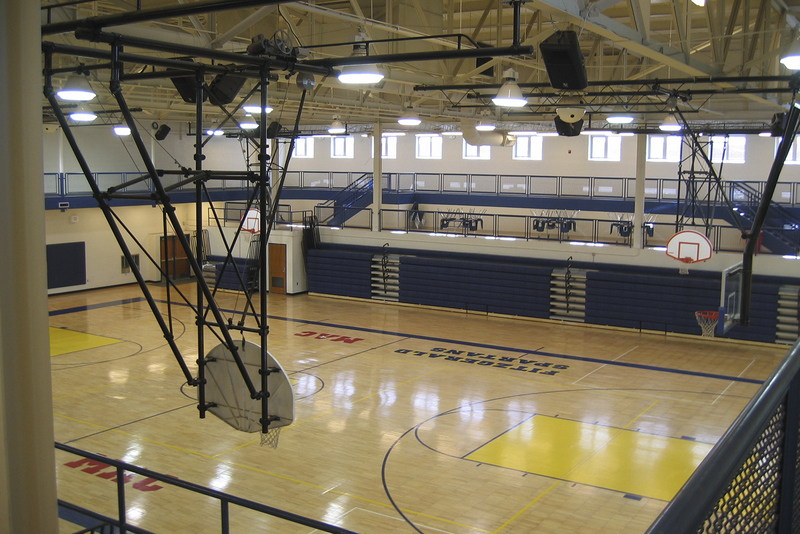 The goal of this project was to re-invigorate and re-define the Fitzgerald High School campus. 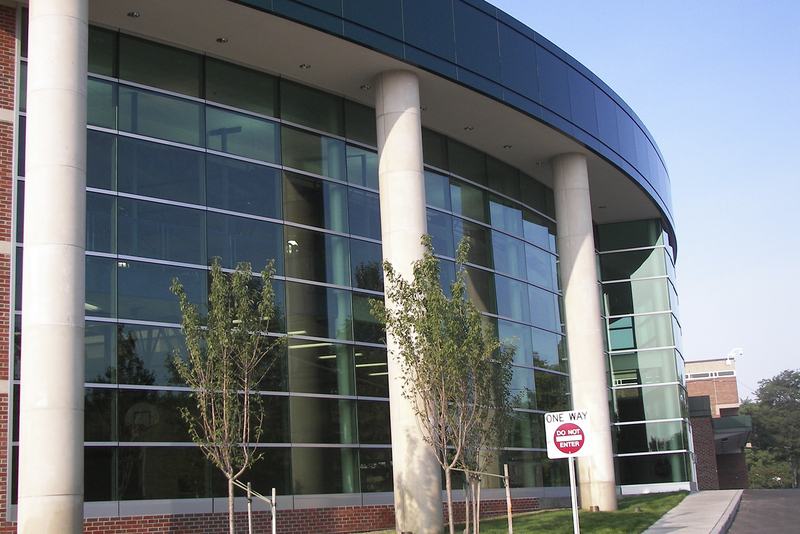 Portions of the existing building were demolished, programs relocated and new additions built. 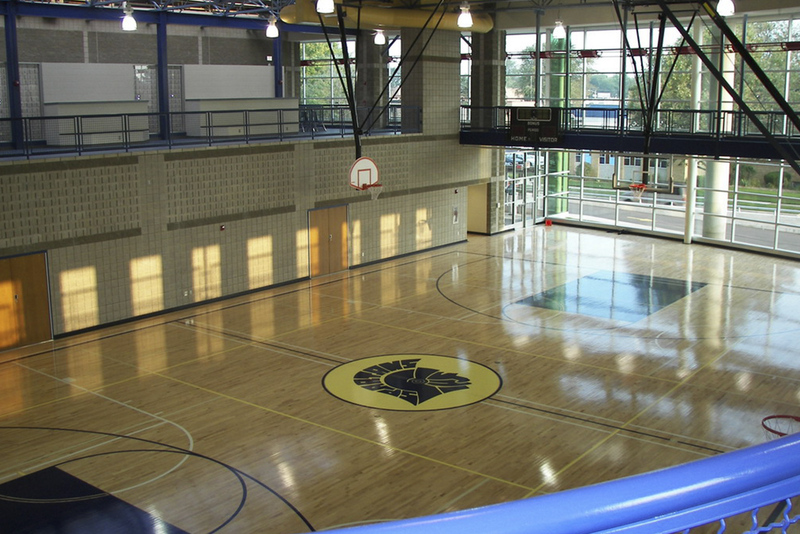 The project was completed in three phases, while the existing building was occupied. 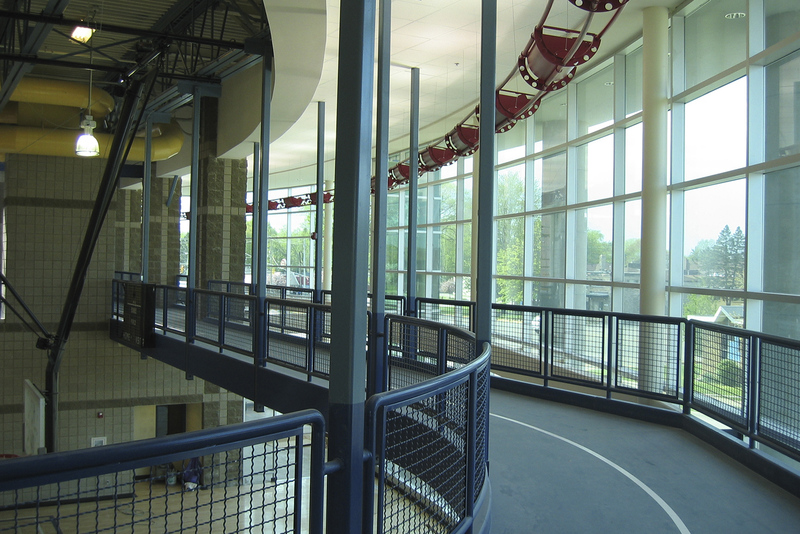 The end result is a successful blend of old and new, seamlessly intertwined together. 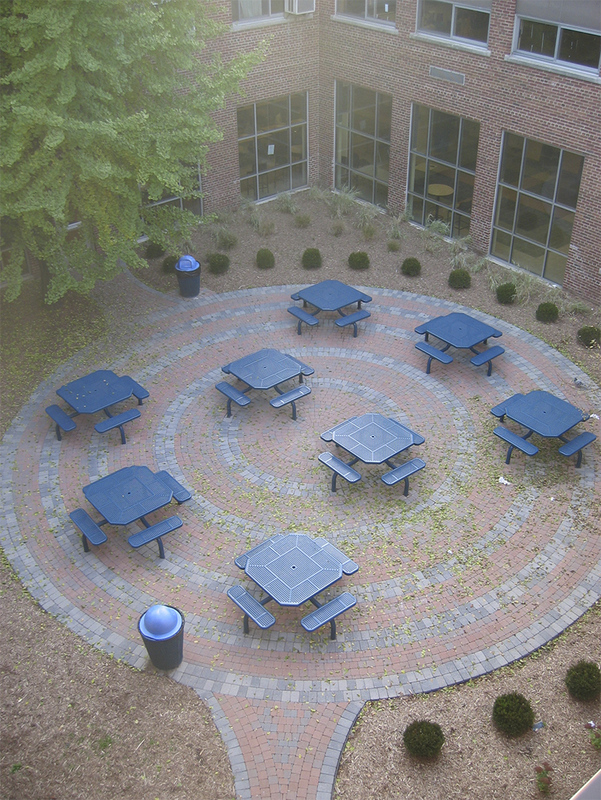 Several student spaces were improved, site circulation was clearly defined and ‘Fitzgerald Pride’ was restored. 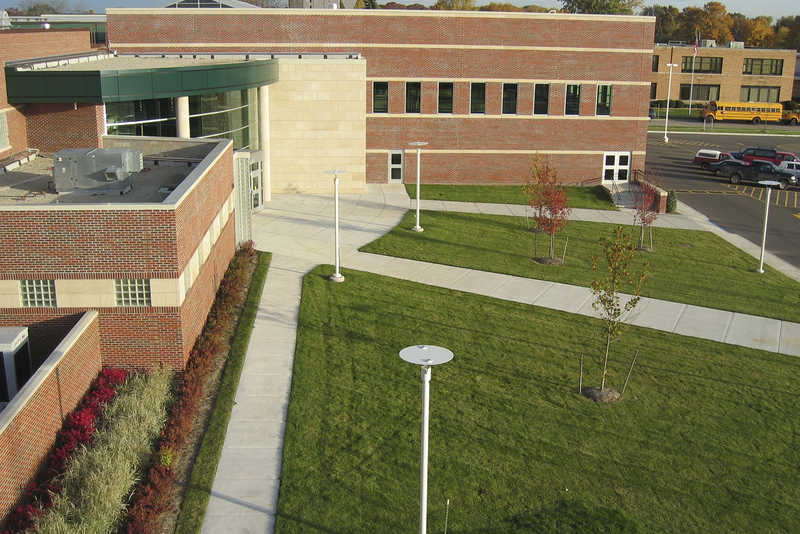 Master planning resulted in a welcoming, repositioned main entrance, reconfigured access and parking and campus-wide improvements. 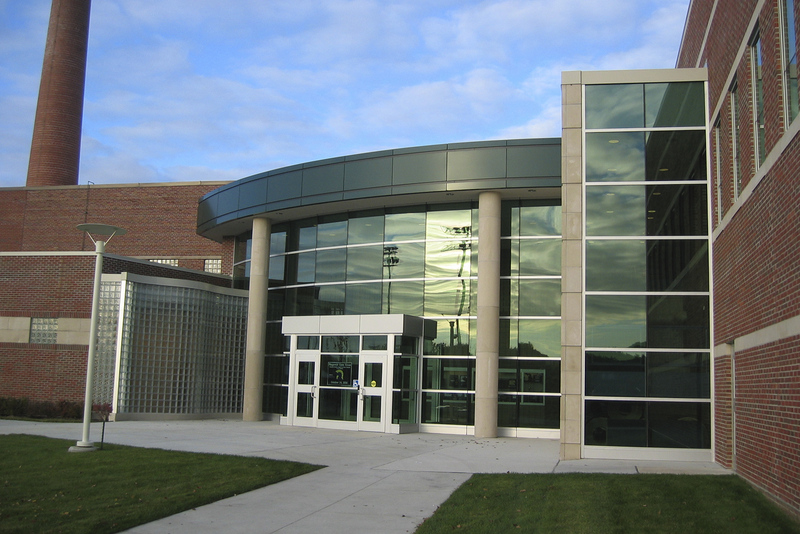 The signature courtyard entry with prominent glass curtain wall sets the tone for other entries at the new gymnasium and renovated natatorium. 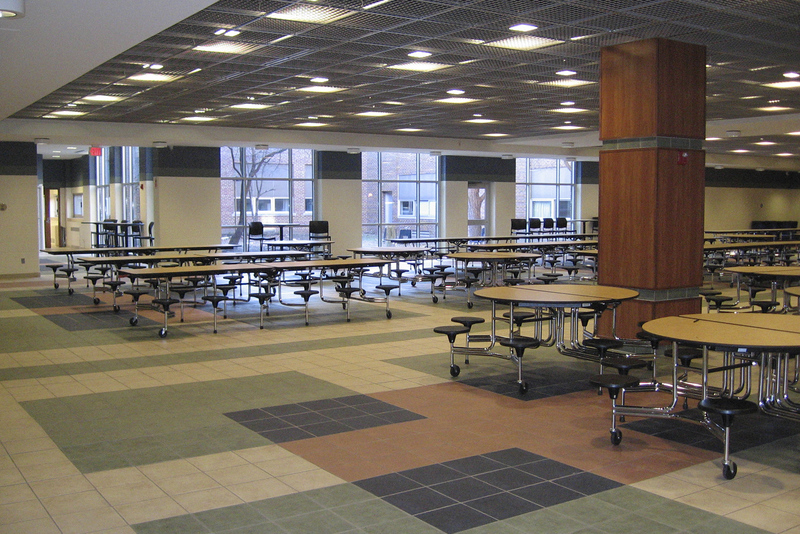 Expanded and revitalized, the cafeteria accommodates more diners and is enhanced with restaurant quality and ambiance. An accessible outdoor courtyard, abundant natural lighting, invigorating color scheme and material choices enliven the space. 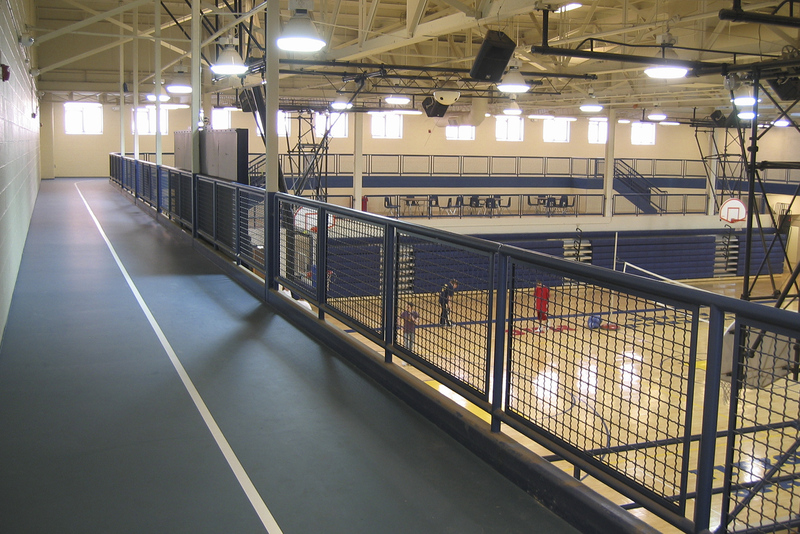 The new auxiliary gymnasium boasts an elevated running track at its perimeter which was also constructed above the existing, adjacent main gymnasium. 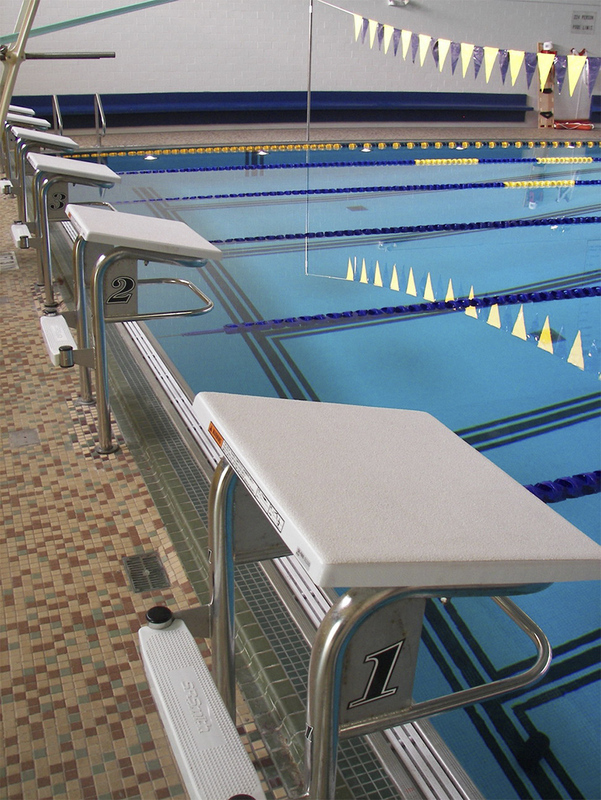 The many upgrades and additions to the new sports facilities allow the district to set local competition standards. The new, all-sports field house will be emblematic of the value placed by the community on athletics and appropriately greet those who will visit the impressive new stadium. 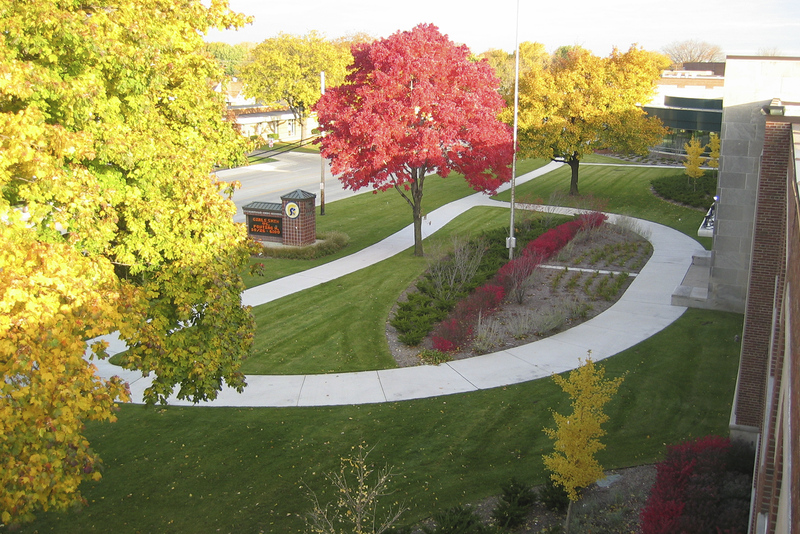 The campus site circulation and parking were completely redone, as was the landscaping surrounding the high school. The district has received several accolades from the community and school alumni on the success and impact of this project.